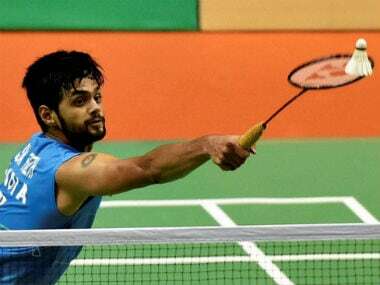 It is a bit hard to believe that Indian shuttler B Sai Praneeth, who was yet to experience what it feels to win a Grand Prix Gold or a Superseries title until April this year, would take a huge leap from rank 33 to break into the top 25 in a span of four weeks and earn a place in badminton’s grandest stage — World Badminton Championships. In a very short span of time, the Hyderabad-born shuttler proved that he is not one to be taken lightly. That said, he is no stranger to success. Despite having a slow start to the 2017 Badminton World Federation (BWF) season, Praneeth hit the ground running with back-to-back titles at the Singapore Open Superseries and Thailand Open. A lot was changed in terms of his style of play and the way he approached the match against some of the best men's singles shuttlers. 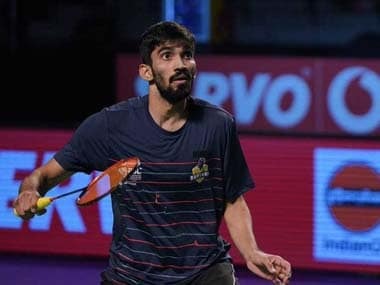 When he takes the court, he oozes fearlessness and can topple any opponent on his day, which was evident when he got the better of compatriot Srikanth Kidambi in the final of the Singapore Open earlier in April. Such was the 25-year-old’s form between mid-April to June that it allowed him to emerge as one of the serious contenders to claim the World Championships title in Glasgow, Scotland. A 2010 World Junior bronze medallist, Praneeth, has dished out some explosive performances in 2017 so far, but the baby-faced assassin has something else to boast about. In his upward trajectory, what makes him even more dangerous is his ability to upset big names. The 25-year-old shuttler does not succumb to pressure and has a knack of surprising higher-ranked players with his attacking forecourt movements. In 2013, the former All England Champion Muhammad Hafiz Hashim of Malaysia was floored by an unseeded Praneeth, who fought back from a game down to win the match dramatically in the first round of the Thailand Open. Just weeks after that iconic win, he gatecrashed former World and Olympic champion Taufik Hidayat’s final international appearance in front of his home crowd in the opening round of the 2013 Indonesia Open. He continued his courageous show in the Hong Kong Superseries by upsetting crowd favourite Hu Yun just days after the Thailand tie. The victory over Srikanth helped extend his giant-killing ways. There is no doubt that this is arguably the best phase of Praneeth’s career and also for Indian badminton. However, things will be a lot different, and even more competitive, at the Championships in Glasgow, where Praneeth — who has bagged the 15th seeding — has been pitted against Hong Kong veteran Wei Nan, who was handed a last-minute direct entry. A win over Nan would see Praneeth square off against Anthony Sinisuka Ginting of Indonesia. Praneeth trails 0-1 in the overall head-to-head meeting(s) against the lanky Indonesian, having lost to him in three tough games in 2016 Thomas Cup finals. If he manages to take Ginting down, sixth-seeded Chinese Taipei ace, Chou Tien Chen awaits him in the third round. In a recent interview with PTI, the Hyderabadi shuttler said he has set his eyes on the Dubai Superseries Final in December and hopes to crack the top 10 in the coming months. “This year, my aim is to play Superseries Final in Dubai. If I play that then automatically, it would mean my ranking goes up. So I want to give some good performances in Super Series so that I get an entry in Super Series final,” said Praneeth, who won the Thailand Open and reached the finals at Syed Modi Grand Prix Gold in January. “I am at No 10 in terms of Super Series ranking and above me, there are three Chinese players, out of which only two would be playing. There are six more Super Series events so let’s see. I have a target of reaching the top 10 this year,” he added. Glasgow will be a golden opportunity for the in-form shuttler to justify all the hype around his sudden rise and to further prove that Indian men's singles department has become a force to reckon with.